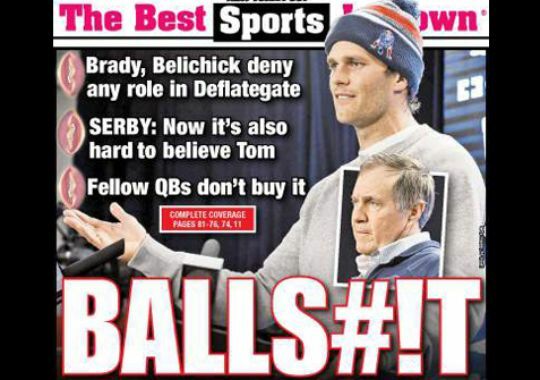 Could Brady and Belichick Be Innocent in Deflate-gate? One opinion piece at CNN called for the Patriots to be booted out of the Superbowl, others said Brady and Belichick should not be allowed to play or coach in it – and many thought they should both be suspended for a year. The media lynching of the Patriots Head Coach and quarterback made it sound someone found a smoking gun. Anyone defending the Patriots was accused of endorsing cheating and not caring about the integrity of the game. 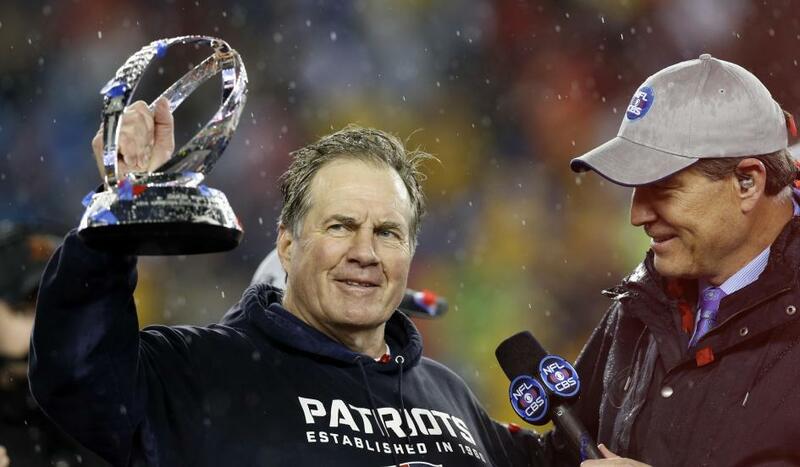 Belichick is a consistent winner – which makes he all that much easier to hate. But what if they aren’t guilty. 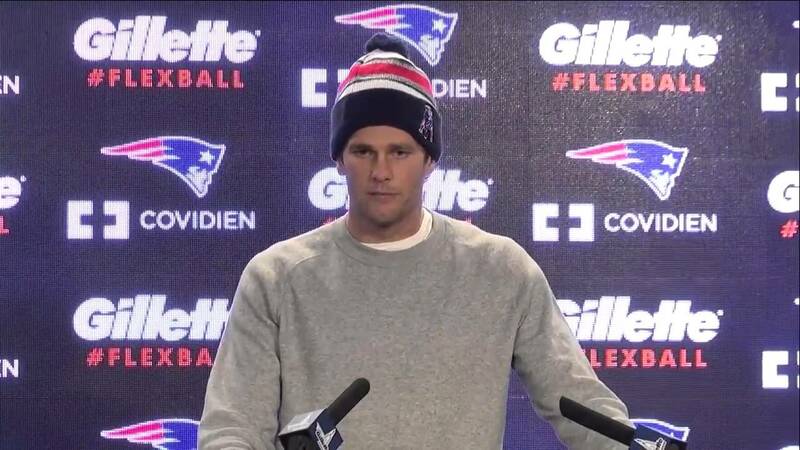 What if the quick bandwagon effect of assuming Brady “must have known” is wrong? 1. The lack of evidence. Yes, the balls were under-inflated. But there is no evidence that the Patriots did it. The balls are given to the refs, who test them, make sure they are legal, put them in a ball bag and take that bag out onto the field. The only time the balls are touched after that is when they enter or leave a game – and that is with 70,000 people and who knows how many cameras watching! Not only is there no evidence that the Patriots did it intentionally, it’s hard to imagine how they could do it at all! 2. The strange uniformity of the Psi. 11 of the balls were down exactly 2 psi from the 12.5 they were supposed to be down. That shows that it couldn’t be a “quick job” by a ball boy sticking in a needle as the balls were exchanged. If it were done that way, the balls would have varying psi, there would be no time to be precise (and again, all that in front of both fans and cameras). More likely there is a systemic explanation in the way the balls were handled, prepared or moved. Since the refs measured them before taking them to the field, it’s questionable whether the Patriots intentionally caused that systemic error. 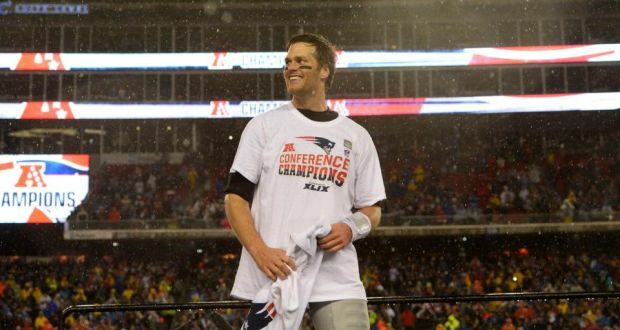 The celebration didn’t last long – Brady has been attacked and demonized all week. On Saturday Bill Belichick explained the extensive study they used to try to figure out what happened with the balls. I did chuckle when at one point he said, “I’ve felt dozens of balls this week, and know the different textures…” But they noted that their preparation and rubdown raises the Psi by 1.0. They talked about the impact of different aspects of the ball preparation and conditions. First, it’s clear this is more complex than just air and weather. While Belichick insisted they were not in a heated room or sauna, could there be something about the ball preparation – something completely legal – that caused 11 of the balls to be the same, low Psi? Those who want to hate the Pats will of course say that’s his game – shed doubt, don’t reveal anything, and the league can do nothing. Yet it could indeed be true. 3. Other oddities. Supposedly the Colts complained about the balls back in November. Why not check the balls at game time – if there were suspicions, the refs could have done spot tests during the first half. And if they had suspicions in November, why wait until the AFC Championship to do anything? Perhaps the league investigation will yield a smoking gun – or at least some real evidence implicating Brady and Belichick – and penalties would be warranted. I suspect in the end the NFL will not give out any individual penalties because there will be no evidence any particular person did something wrong. Perhaps they’ll penalize the organization based on circumstantial evidence. The NFL needs to look at the rules, procedures, and methods of oversight involving game balls. This kind of thing shouldn’t have happened – and if it happened innocently, the Patriots and their fans are the victims. For Patriot fans bummed that they joy of the Superbowl preparation is lost to this inane controversy: cheer up. I’m a Vikings fan. You’re going to the Superbowl while enduring a scandal. My team had a losing season while enduring a severe scandal. Believe me, I’d rather be in your shoes! 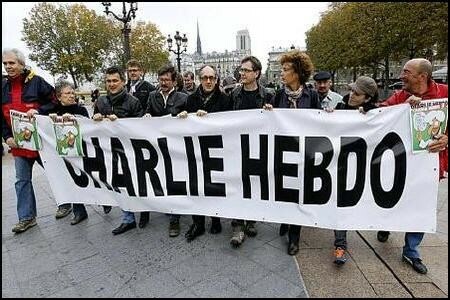 A day after a brutal attack on not only a French satirical newspaper but on the very notion of freedom of speech, it’s inevitable that haters will turn around and attack all of Islam. Islamophobes have more in common with Islamic extremists than with true lovers of freedom. There have been attacks on Mosques in France, and Muslims again find the neanderthals attacking their religion because a few extremists committed an atrocious attack. Rather than argue about that, I think it’s important to recognize great Islam has a history that includes tolerance, openness and sophisticated philosophical thought. 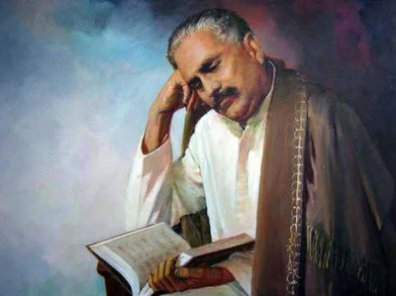 One of the greats is Muhammad Iqbal, 1877-1938. Known primarily as a gifted poet, and knighted by King George V, Iqbar’s religious thinking is something that should be taken seriously in the Muslim world. Iqbar was shaped in part by his time. He lived in India under British rule (in the Punjab province, now part of Pakistan), and saw the exploitation and ruthlessness of colonial control. Yet he studied law in Great Britain and earned a Ph.D. in philosophy in Germany. His religious thinking centers around how to reconcile the religious traditions of Islam in a modern world increasingly dictated by western norms and power. He held on to deep religious convictions. He believed in God, and felt that Muslims should have a community where religion is public – not a separation of church and state as in the West. That makes sense, given how community oriented Islam is. It is a religious of practice, not just faith. Yet he admired western tolerance, science, and open thought. He was heartened that the West adopted what he saw as Islamic values of freedom and equality. Respect for Islam does not require giving up western traditions of freedom of the speech. Nothing justifies the attack, nothing justifies self-censorship out of fear. At one point Muslims had seen Christian Europeans as barbaric and uncivilized. When the crusades took Jerusalem, Muslims were told “convert or die.” Christian Europe lacked the technology, science and sophisticated learning of the Islamic world. Yet by the 1700s that was all changing, and soon the West dominated. Iqbal was the first to argue for a separate Muslim state in India. He assumed the Muslim state would be an ally of India, even helping protect it from invasion. As a deeply religious man, he believed that the spiritual core of Islam could lead the faithful to liberation and what one might call self-actualization. He believed in a global Ummah, or community of believers. Yet there was no desire to see other religions as enemies. He accepted that there were other religions, even while believing in a conservative version of his own. Iqbal is one of many Muslim thinkers who responded to the challenge of the West – how to maintain traditions in a new world, one now defined by globalization. Almost all the great Muslim thinkers refused to go the route of seeing the West as the enemy, the challenge to them was to not let their faith get stifled by modernization and secularism. The terrorists and extremists are not at all indicative of Islamic traditions or thinking. They are reactionaries, hating the West and fearing change. Sometimes we in the West feed their fear by bigotry, attacks on their religion, or refusal to understand or assimilate. But what we need to do is help the vast majority of peaceful Muslims work through the challenge of adapting to modernism without sacrificing their spiritual faith. Time is against the extremists. Almost all Muslims are against the extremists, and the nature of Islam and its teachings over the years contradict the extremists.